OnStar and its agency Campbell Ewald are debuting a new campaign that refocuses the emergency notification platform on its actual services — a return to emotional ads by leveraging real-life situations. The “Be Safe Out There” campaign reminds drivers that it is not a matter of if but when a driver or their passengers will need roadside help by emphasizing the relief OnStar-equipped drivers feel when encountering unexpected obstacles. "Road safety is not top of mind, and people believe they would know what to do should something happen. 'If something happens, I can handle it — I have my phone with me' is their mind-set," says Jo Shoesmith, Chief Creative Officer, Campbell Ewald. 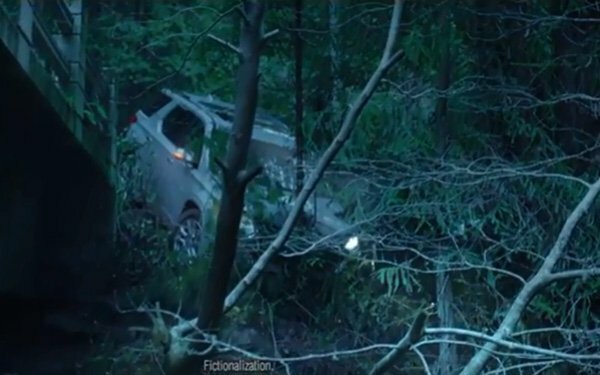 Hence, the ads show drivers in remote situations where cell service is unlikely, like a bridge accident in a forest. In a pivot away from its previous seven-plus year strategy to primarily focus on hyper-targeted messaging in the digital space, this new campaign will expand OnStar to TV and cinema. The work will launch March 29 premiering nationally during MLB opening day followed by the NCAA Final Four. OnStar also is reintroducing “Real Call” radio advertising, which will continue to feature real recordings of OnStar advisors helping members in need. The ads are voiced by award-winning actress Laura Dern. In addition, OnStar will continue to work with emergency responders, the public safety community and rescue and relief organizations, and give back to communities in the U.S. This campaign push is supported with OnStar's renewed focus on the after-sales market, in light of declining auto sales as well as OnStar's continued growth via 4G LTE upgrades. In the U.S., OnStar serves nearly 12 million members and is available on Chevrolet, Buick, GMC and Cadillac cars, trucks and crossovers.